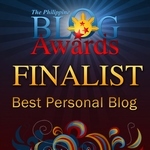 My third time in Cebu is very memorable and should I say ‘historical’ because I witnessed the first ever Philippine Blog Awards ’09 Visayas Leg last October 19 at Ayala City Sports, Cebu City. The event was well-attended by Cebu-based bloggers, PBA Organizers, volunteers, press and media from the Queen City of the South. 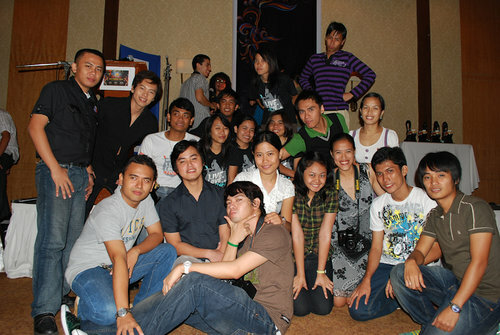 PBA '09 Visayas Leg - Major Success! Our first day in Cebu with some of our Manila blogger friends is made of pure win. I got the chance to patch up with Pangga couple Hana and Markku, who were my former workmates (that deserves another blog entry hehe). We got the chance to gallivant around the city and visit Talisay, Kuya Markku’s hometown. Let’s go back to the awards night 😛 After eating our lunch at Mooon Cafe, Ada, Winston, Van and I went to the venue to simply check the place. We went back to our hotel room at Sampaguita Suites to sleep (yes, sleeping in Cebu is a great experience! haha). 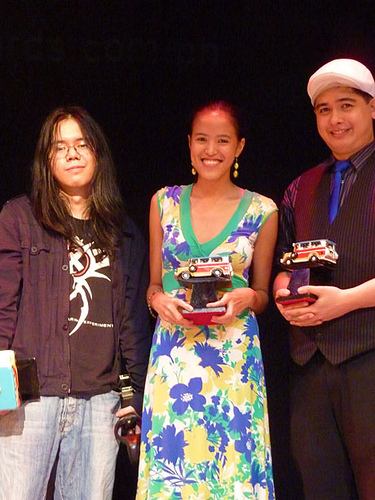 We dressed up at around 5pm and went straight to Ayala City Sports for the awards night.